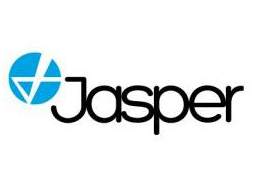 Jasper, now part of Cisco, is a global Internet of Things (IoT) platform leader. Cisco Jasper has designed its industry-leading, cloud-based IoT platform to enable companies of all sizes to rapidly and cost-effectively launch, manage and monetize IoT services on a global scale. When companies do this, they become much more than product businesses. They become service businesses, can automatically managing their customers’ entire IoT services lifecycle, delivering increased customer value and unlocking new sources of revenue. More than 10,000+ companies, including many of the world’s top brands, choose Cisco Jasper to fast-track their IoT services. Cisco Jasper currently partners with 50+ service provider groups, representing more than 120+ service provider networks in over 100 countries.